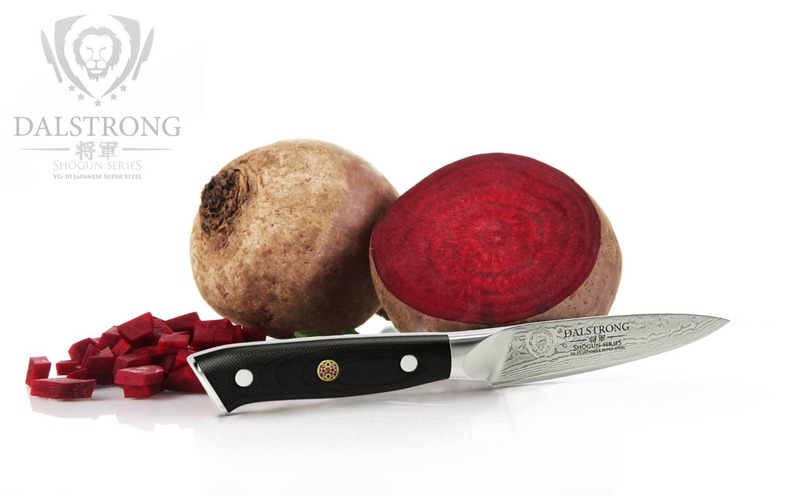 DALSTRONG Paring Knife 3.5" for Utmost Precision | The Perfect Steak Co. 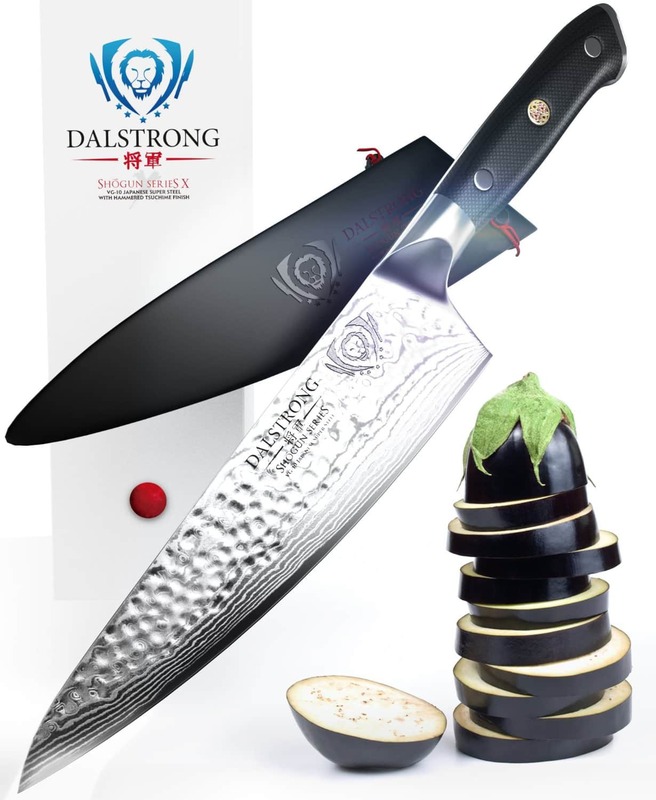 The Dalstrong Shogun Series paring knife is painstakingly crafted over 60 days using the highest quality materials, it is both a razor-sharp kitchen powerhouse and artistic statement in premium design and workmanship. Note: Order by 11.30am for Express Shipping. 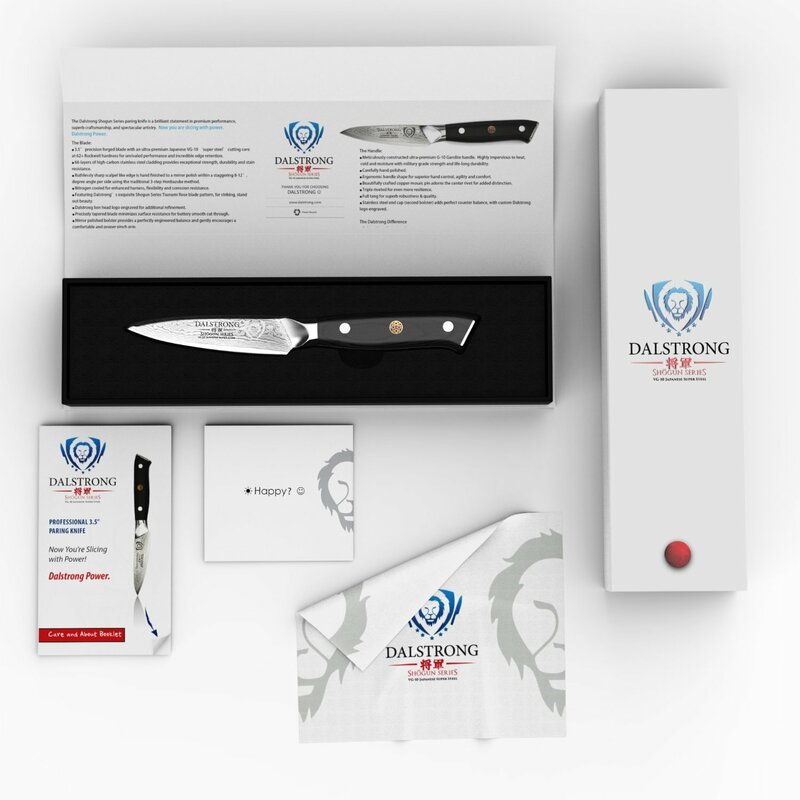 Discover the ultimate Paring Knife: A Dalstrong culinary revolution combining outstanding and award-winning craftsmanship, cutting-edge breakthrough technology, awe-inspiring design, and the absolute best materials available. Peak performance never looked so good to you or your wallet. Unrivaled Performance: Ruthlessly sharp scalpel like edge is hand finished to a mirror polish within a staggering 8-12°degree angle per side using the traditional 3-step Honbazuke method. Nitrogen cooled for enhanced harness, flexibility and corrosion resistance. Full tang for superb robustness and triple riveted for even more resilience. Dalstrong lionhead logo is engraved blade side and on the weighted end cap for further distinction and refinement. 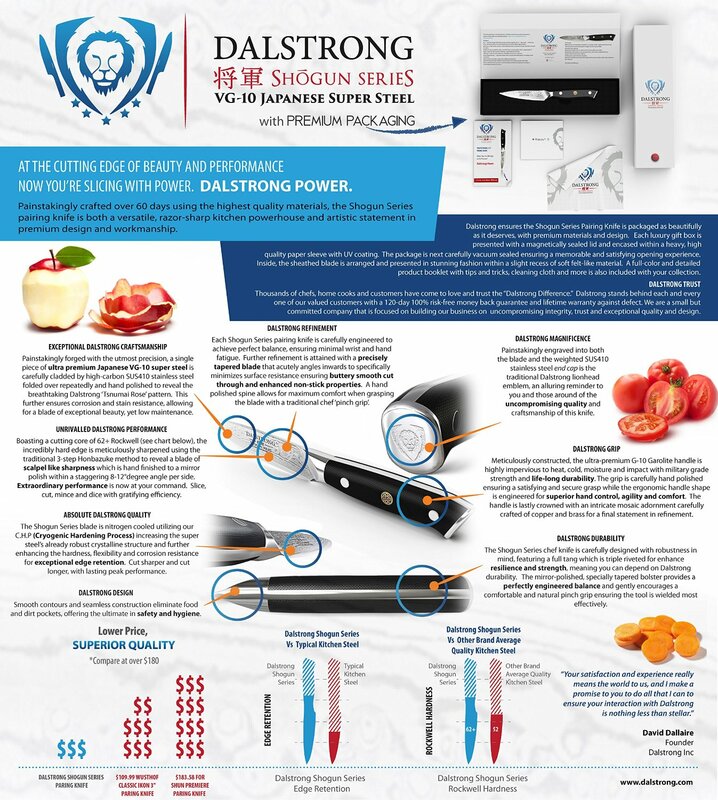 Dalstrong Power: An ultra sharp VG-10 Japanese super steel cutting core at 62+ Rockwell hardness for extraordinary performance and incredible edge retention is painstakingly sandwiched between 66 layers of premium high-carbon stainless steel, ensuring exceptional strength, durability and stain resistance. Perfectly balanced, the precisely tapered blade minimizes surface resistance for buttery smooth cut through and enhanced non-stick properties. Remarkably patterned with Dalstrong’s stunning ‘tsunami-rose’ Damascus layers. Engineered to Perfection: The meticulously constructed, ultra-premium G-10 Garolite handle is highly impervious to heat, cold and moisture with military grade strength and life-long durability. Carefully hand polished, the ergonomic handle shape is engineered for superior hand control, agility and comfort all while promoting a natural pinch grip. Hand-polished blade spine for further grip comfort. A premium-quality polymer Dalstrong PerfectFit saya (sheath) with embossed Dalstrong logo and locking mechanism is included with the set to ensure your blade is carefully protected. Dalstrong Trust: Rocksolid 100% SATISFACTION OR MONEY BACK GUARANTEE, try it risk free. LIFETIME WARRANTY against defect. Renowned Dalstrong customer service. See why chef’s around the world trust and love, ‘The Dalstrong Difference’. Arrives as all Dalstrong products in top-reviewed and customer-loved premium quality packaging. Suitable as a gift (Christmas, weddings, birthdays, fathers day, mothers day), for culinary students, home cooks, professional chefs and more. Now you are slicing with POWER. Dalstrong POWER! 100% Satisfaction Guarantee. Try risk free. The Dalstrong Shogun Series paring knife is a brilliant statement in premium performance, superb craftsmanship, and spectacular artistry. Now you are slicing with power. Great products to help you cook your perfect steak. Copyright 2018 - The Perfect Steak Co. - All Rights Reserved.